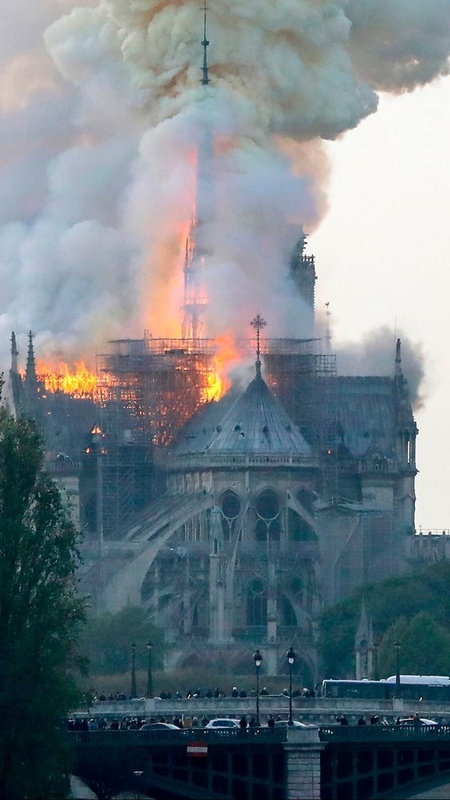 Video footage from the scene showed flames and smoke spewing from the landmark, one of the city’s most popular tourist destinations in the world. Tourists and locals took to social media to document the blaze. The cathedral dates back almost 1,000 years. It’s construction began in the 12th century, and it took about 300 years to complete. The result is that, although it is predominantly French Gothic, there are areas that reflect the Renaissance and the Naturalism era of construction.